Fashion industry icon Michael Kors has joined the list of designers who will no longer use fur in their fashion lines. The announcement was made December 15. The fur-free policy will apply to all brands in the Kors line, including the recently acquired luxury brand Jimmy Choo shoes. Production of garments that include fur will be phased out by December of 2018. Kors follows on the October 11, 2017 announcement by the Italian industry giant Gucci that they will begin phasing out fur starting in the spring of 2018. Leading online luxury fashion retailer Yoox Net-A-Porter Group (YNAP) made a similar announcement in June as part of its sustainability efforts. Other companies to go fur-free include Tommy Hilfiger, Armani, Calvin Klein, Ralph Lauren, and Stella McCartney. Fake fur, often referred to as faux fur, received a boost when Vogue Paris dedicated its August 2017 issue to animal protection. Vogue also recently predicted an increase in companies going fur-free in 2018. Unfortunately, fur products are sometimes mislabeled. The Truth in Fur Labeling Act was signed into law in 2011, restricting the sale of products containing real fur without truthful labeling. However, Humane Society International investigators claim that real fur is still mislabeled by manufacturers as fake. According to animal advocacy group Born Free USA, every year more than 50 million animals are killed by horrific methods such as electrocution for the fashion industry, with the fur trim market becoming a greater threat to animals than fur coats. While many European countries, including Germany, Austria, and the United Kingdom, have either banned fur farming or proposed legislation to ban fur farming, 10% of the world’s fur farms are in North America. One report suggests that, given the continuation of fur imports into countries with fur farming bans, the cruelty has been outsourced to countries like Poland and China, now the world’s largest fur exporter, with few regulations or animal welfare laws. As consumers, we can help to stop the fur industry, which runs on the basic economics of supply and demand. How we spend our money makes a difference. Be aware when shopping of details like fur trim, even in small amounts, or dyed bright colors or cut into patterns and textures that may present as faux fur. 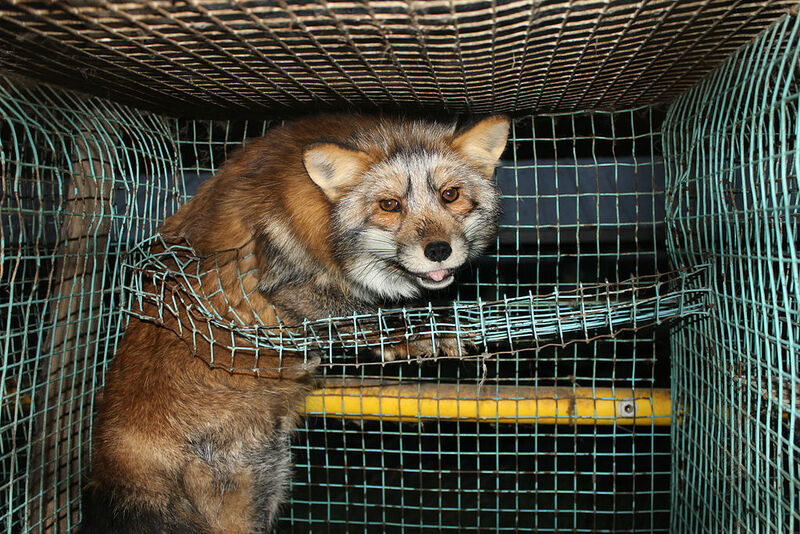 Refuse to buy anything with fur trim, or trim labeled as faux if you are unsure of the reliability of the labeling. Avoiding even faux fur makes clear that fur is unfashionable. Look for vegan fashion brands, and help promote the message that animal cruelty is out of fashion.